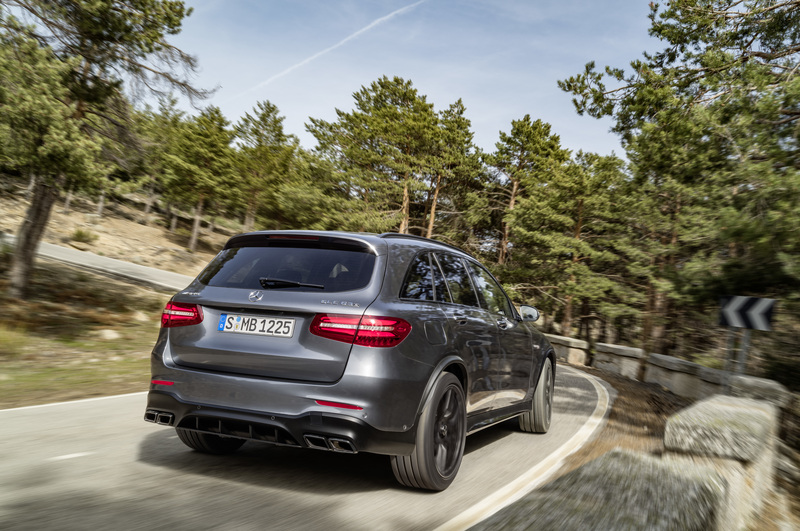 It might look like an SUV on steroids, but the Mercedes-AMG GLC63 S is more supercar than utility vehicle. Does that make it an exciting performance machine, or a senseless interpretation of the SUV formula? 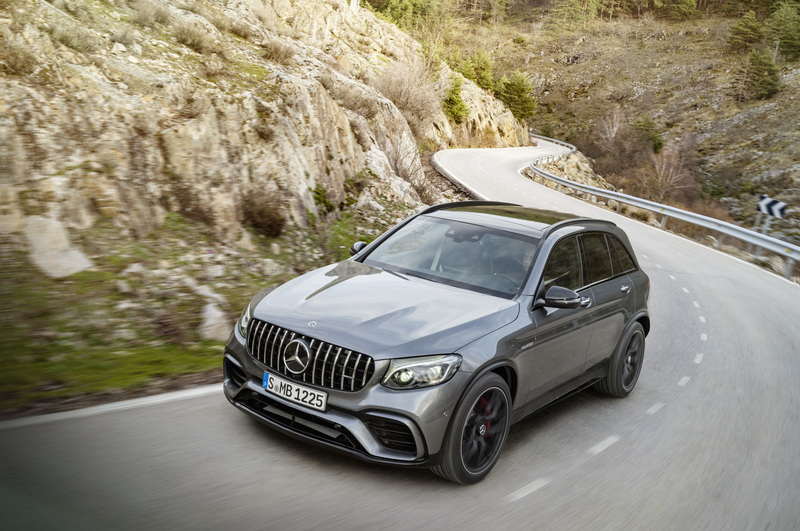 The Mercedes-AMG GLC63 S is the pitbull terrier of the SUV world: a stocky, compact and potentially intimidating machine, but one that’s surprisingly compliant (if not quite docile) once you get to know it better. Whether it really qualifies for SUV status at all is a moot point. While it has the raised stance, the all-wheel drive and the versatile cabin arrangement typical of the genre, it looks more muscle machine than all-terrainer. And it goes like stink. Best you buckle up before palming the big, silver start button. The rumble from those squared-off quad exhausts is sonorous enough to start a small earthquake. It’s guaranteed to upset the neighbours – and their dogs. There’s a deliciously throaty burble to the 4.0-litre V8’s idle that pays unmistakable homage to the high-tech engine’s potential. 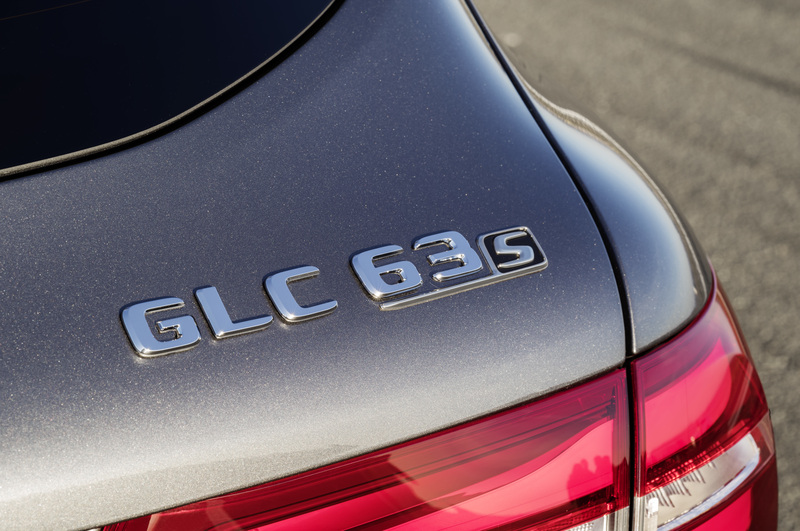 It’s by no means a subtle sound – but then, there’s nothing subtle about the GLC63 S, either. You don’t need to spot the AMG badge on the Merc’s rump to know that this isn’t your normal GLC. 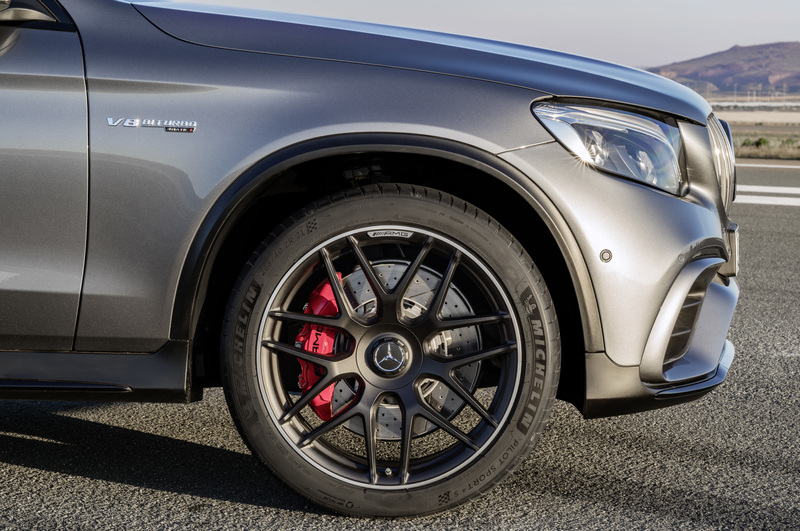 While the standard model is conservatively tailored, the GLC63 S is chunkier, with flared wheel arches barely containing the huge, black, wide-tracked wheels. The grille features the vertical strakes and exaggerated aperture previously exclusive to AMG’s GT sports car. Lower down, the hungry air intakes framing a pronounced front splitter would look more at home on a racing car than an SUV, but add to the GLC’s pugnacious appearance. I’ve already mentioned those square, black-tipped exhaust tailpipes jutting from a matt black rear diffuser, adding further aggression to the burly rear. A rooftop spoiler neatly integrates a third brake light, while the motorised tailgate opens wide and deep to afford convenient boot access. The overall effect is head-turning in a way that makes the standard GLC look all too ordinary. Even those with an aversion to conspicuously over-the-top machinery will have to admit that this Mercedes-AMG has an almost magnetic attraction. Like all SUVs, the GLC63’s raised seating position provides a commanding view of your surroundings. But the bucket seats, with exaggerated bolsters, quilted leather trim and yellow stitching, come straight out of the sports car order book. Add a centre console finished in carbon fibre, aluminium trim panels, red-needled instrument dials and a grippy, small-diameter steering wheel with a suede-finished rim, and the GLC63’s cockpit is best described as racy. Those familiar with Mercedes vehicles will recognise trademark features such as the full-colour screen for the Comand infotainment system, perched on top of the centre stack and operated via a rotary controller in the centre console. The system is a little clunky, but easily mastered, and provides access to a long list of functions and features, including the multispeaker Burmeister sound system, satnav, Bluetooth-driven hands-free telephony and audio streaming, and more. 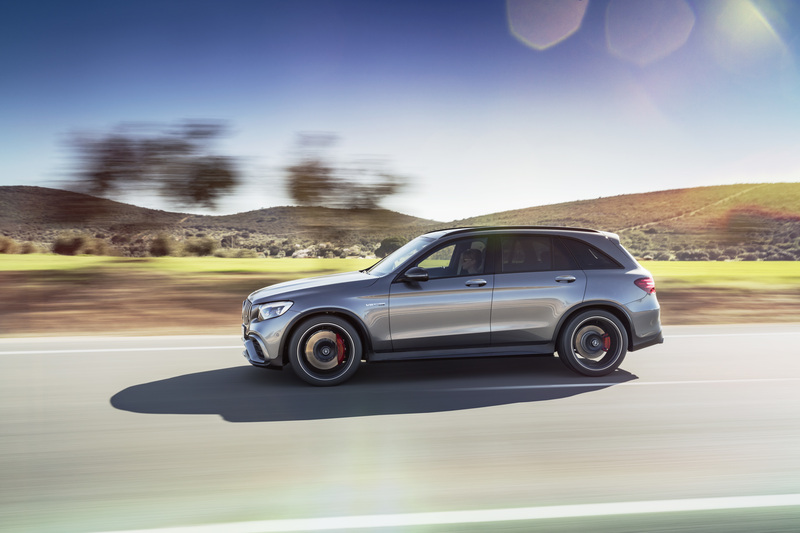 And yes, the GLC63 S also has an extensive array of luxury and safety features, in line with what you’d expect of a top-class Mercedes-AMG vehicle with a price tag north of R1.5-million. It’s worth spending some time settling in behind the wheel, and carefully adjusting the seating position, before heading off. Given the sheer acceleration on offer, you’ll need every bit of support that bucket seat can muster. 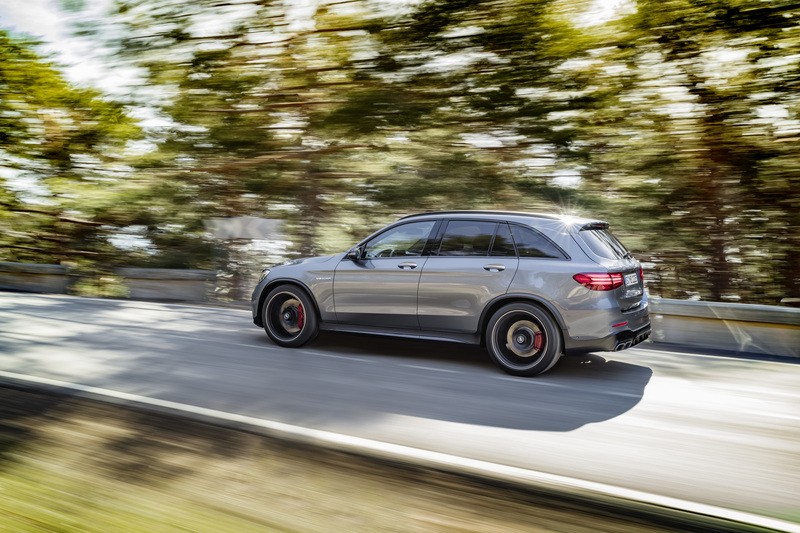 For a vehicle weighing just shy of two tons, the GLC63 S gets off the mark with gravity-defying alacrity. Flooring the loud pedal unleashes the full extent of the twin-turbo’s V8 anger, sling-shotting the SUV off the mark in a sustained rush of urge. The drivetrain’s variable all-wheel drive system means there’s no wheelspin off the mark: just a momentary settling of the haunches before blast-off. From there, the rapid rise of the engine’s revs dictates equally rapid gear changes. Petrolheads and wannabe racing drivers will want to use the gearshift paddles, but to be honest, the nine-speed auto gearbox is perfectly capable of performing that task itself, leaving the driver to grip that wheel and keep the beast on the road. And a beast it is – at least when giving it stick. It’s hard to equate the SUV dimensions and weight to a dynamic experience that is very much in the supercar league. 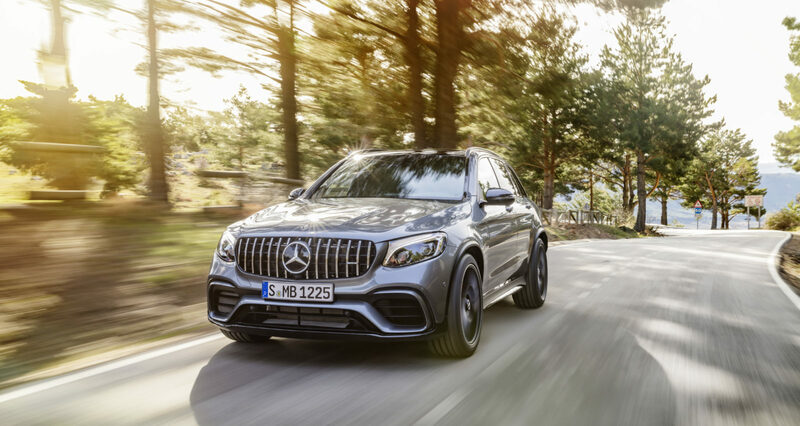 Unleashing the full 375kW of muscle means the GLC63 easily shrugs off the burden of the 1,935kg kerb mass, reaching 100km/h from rest in just 3.8sec. 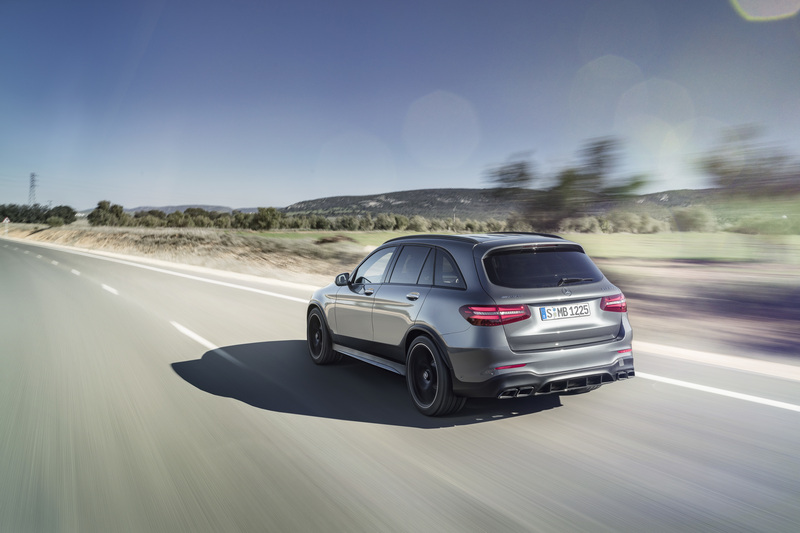 Overtaking is almost laughably effortless, allowing the GLC63 to make short work of slower traffic by taking advantage of gaps that simply wouldn’t be viable in something more mundane. Because the seemingly infinite delivery of power, it’s easy to lose track of how quickly the Mercedes-AMG gathers speed, and how fast you’re actually moving. That might make for impressively speedy motoring, but can also get you into heaps of trouble. Fast in a straight line is one thing, but getting through corners quickly (and safely) is something different entirely. The GLC63 is very rapid indeed, but it can’t defy the laws of gravity and when you’re threading two tons through some tight and twisty tar, life behind the wheel can get, well, interesting. To the SUV’s credit, it makes full use of the all-wheel drive and those fat-footprint Michelin Sport tyres to achieve eyeball-popping levels of adhesion. That you sit higher than in a sports coupé makes those lateral G-forces feel even more acute than they really are. The AMG engineers have clearly done their homework, because the GLC63 S carves through corners with admirable intent and precision. It feels sure-footed too, building driver confidence and making for entertaining motoring – although your passengers might not always agree. The rear-biased all-wheel drive, assisted by an electronic limited slip diff, does well to harness the full extent of the V8’s enthusiasm, and the steering conveys a steady and believable stream of information that allows pre-emptive and intuitive reactions to chassis feedback. Of course, you don’t have to drive the GLC63 S like Lewis Hamilton. It is still essentially a SUV, after all, offering luxurious accommodation for four, plus a generous 550 litres of luggage space. Set the drive mode to comfort and the gearbox to auto, and you’re at the helm of an effortless cruiser with a real appetite for long distances. 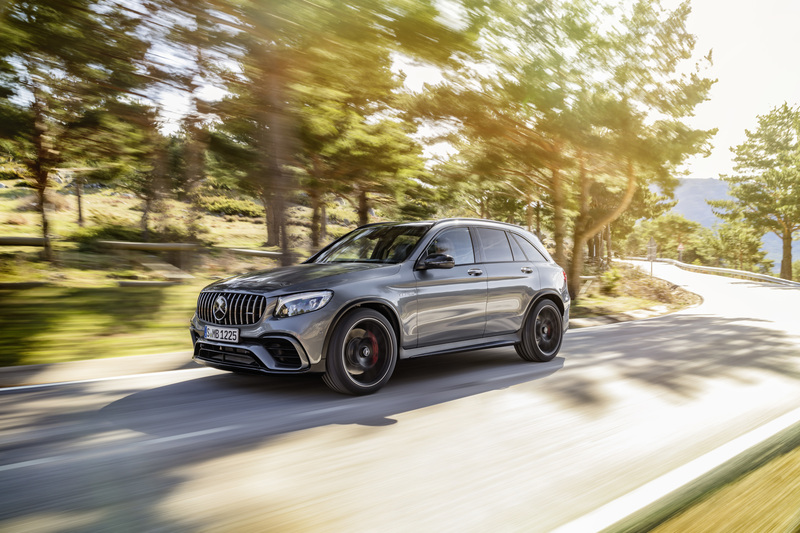 The ride remains firm, even in Comfort mode, reminding you that there is more sports car than utility vehicle in the GLC63’s make-up, but given its performance potential, that’s a small price to pay. Want to head off-road? I doubt that any GLC63 S owner will want to venture off the beaten track: this is very much a road-biased SUV with sports car DNA, and while it offers 188mm of ground clearance and all-wheel drive, those sticky ultra-low profile tyres are no good on dirt. At the other extreme, the GLC63 will acquit itself with dynamic distinction when subjected to the rigours of a track day. It’s the safest place to try out Race mode, which brings out all the horns, and showcases just how entertaining the big SUV can be when really charging hard. 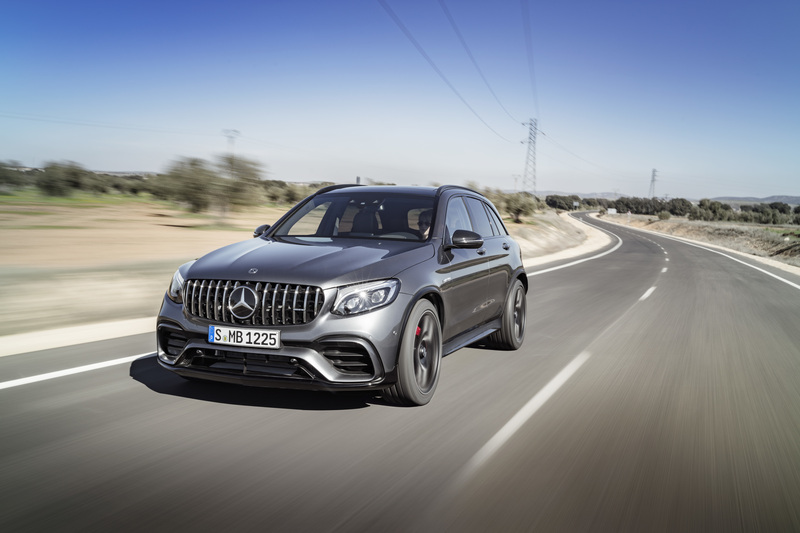 The Mercedes-AMG GLC63 S a desirable (and expensive) example of how race-bred engineering can endow a pragmatic SUV with supercar brio. Think of it as a thoroughbred performance machine with SUV space, albeit without any all-terrain talents. That’s a pretty specialised niche, and yet there shouldn’t be any shortage of buyers in a premium market driven by image, status and emotion. However, the few that do acquire this super-SUV for its thrilling dynamics will know that they own something special. PROS: Astonishing performance and meticulous engineering for a two-ton SUV. CONS: A lot of sport, but very little utility. Can be intimidating.